What’s a sure-fire way to raise a ton of money? Sell food to hungry people! During the fall of 2015, Sabrina Wohl and Jordy Erenfryd ran their synagogue’s “Snack Shuk” for their mitzvah project. Every Wednesday afternoon, they sold chips, cookies and baked goods to the kids at Hebrew school. “We enjoyed the baking and the selling,” the budding philanthropists report. “But what we enjoyed even more was how good it felt to do something unselfish. 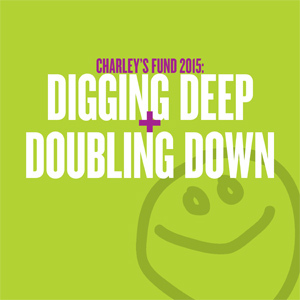 We felt proud about the time and effort we spent towards raising money for Charley’s Fund. It gave us an appreciation for how lucky we are, and we want boys with Duchenne to have the same opportunities in life.” Huge thanks to Sabrina and Jordy for the dedication, which really paid off — they raised more than $1,200 to help find a cure!